The entry fee for the event is $1000 per team or $250 per golfer and hole sponsorships are also available for $500 each. Shaquille O’Neal is an retired basketball player, former rapper and current analyst on the television program Inside the NBA. Standing 7 ft 1 in tall and weighing 325 pounds, he was one of the heaviest players ever to play in the NBA. Throughout his 19-year career, O’Neal used his size and strength to overpower opponents for points and rebounds. He quickly became one of the top centers in the league, winning Rookie of the Year in 1992–93 and later leading his team to the 1995 NBA Finals. After four years with the Magic, O’Neal signed as a free agent with the Los Angeles Lakers. He won three consecutive championships in 2000, 2001, and 2002. On April 2, 2013, the Los Angeles Lakers retired Shaquille O’Neals #34 jersey at Staples Center after the Dallas Maverick”s game. PFP Sports & Celebrity Talent Agency is a top booking agent for motivational sports speakers and celebrities. 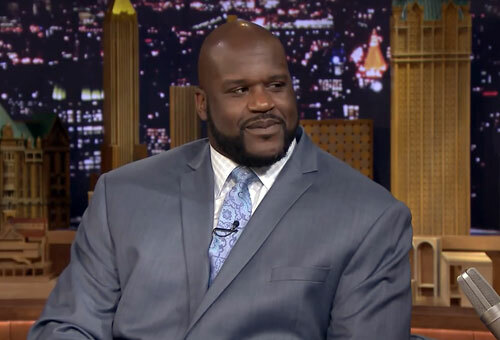 If you would like to book NBA stars like Shaquille O’Neal for a speaking engagement, personal appearance or special event, you can request Shaquille O’Neal agent and speaker information from PFP Sports & Celebrity Talent or call 800.966.1380.